You will earn 349.76 Reward Points. Earn 1 reward point for every 1 dollar spent. 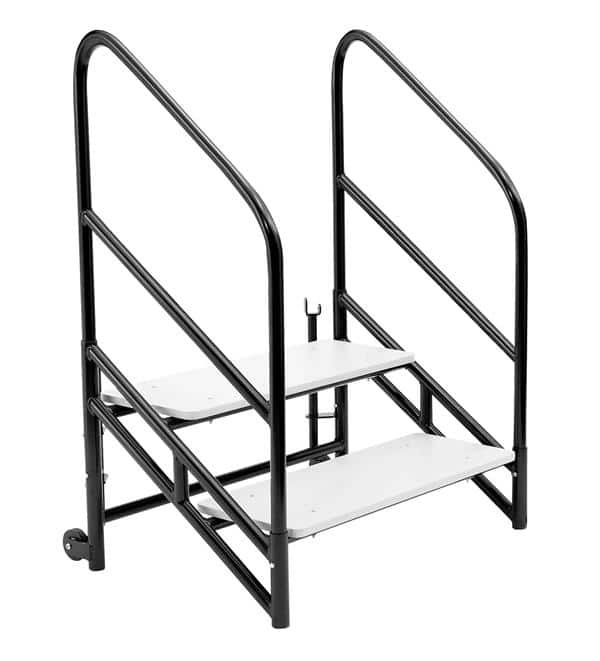 Two-Step unit for the 24" height stage is constructed with durable plywood and a black, strong, 14-gauge, tubular steel frame. Sturdy handrails and a textured gray plastic step surface offers traction for slip prevention. Steps clamp securely to stage to ensure safe ascending and descending. High-impact plastic glides are included to protect floors.